A Tennessee parolee who assaulted an Elk Grove resident with a knife and robbed him at his residence after following him home was taken into custody by Elk Grove Police this afternoon. The victim, a 37-year old male was followed by the suspect from a downtown Sacramento casino to his residence on Starfall Way in the Camden neighborhood just before 6 a.m. today. The suspect, 58-year old Richard Lee Bullock, forced his way into the residence and stole a large sum of cash after assaulting the victim. The victim sustained injuries to his right arm and initially declined medical attention. Video surveillance from the casino helped establish the identity of the suspect. 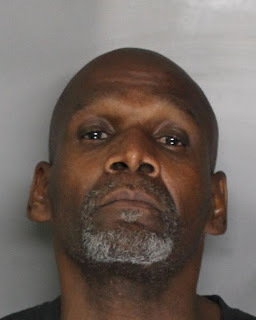 With the assistance of the Capitol District South Sacramento Parole Office, Elk Grove Police Investigators were able to locate and take Bullock, who moved to Sacramento one year ago, into custody. Bullock was booked into the Sacramento County Sheriff’s Main Jail. Bullock will be arraigned Tuesday, October 9 on PC 212.5, Home Invasion; PC 211, Robbery; PC 245(a)(1), Assault with a Deadly Weapon (non-firearm); and PC 3056, Parole Violation and is not eligible for bail. Casinos are good. They create jobs and help the economy. The Wilton Rancheria casino will help create stronger neighborhoods!